High quality and compact programmer for commonly-used memory chips. USB cable, software and manual on cd. 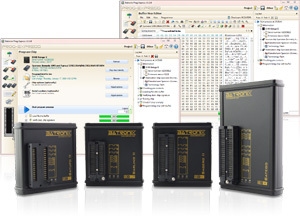 The Batronix Professional Programmer Series offers an exceptionally flexible, simple to use and extremely fast set of eprom programmers supporting a broad range of chips. With a height of only 2.5 cm, the practical enclosure is noted for its design and anodized die-cast aluminum construction. These programming devices are your first choice even in a harsh usage environment. 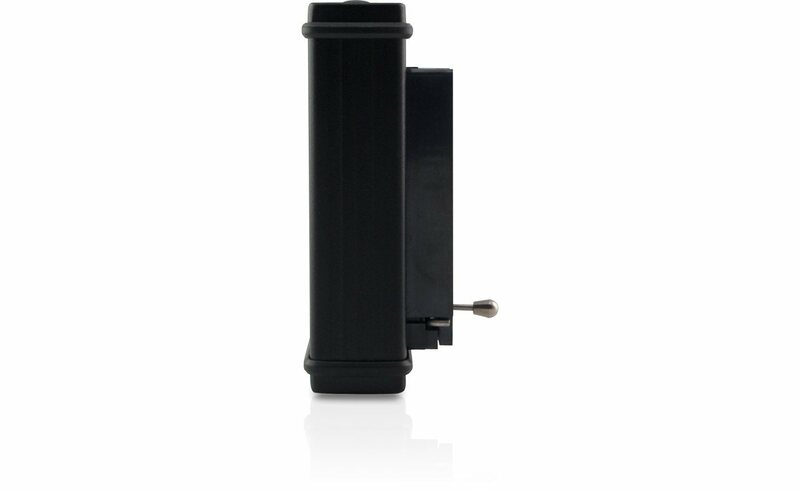 The exceptional flexibility is attained by providing all power requirements via the USB port. 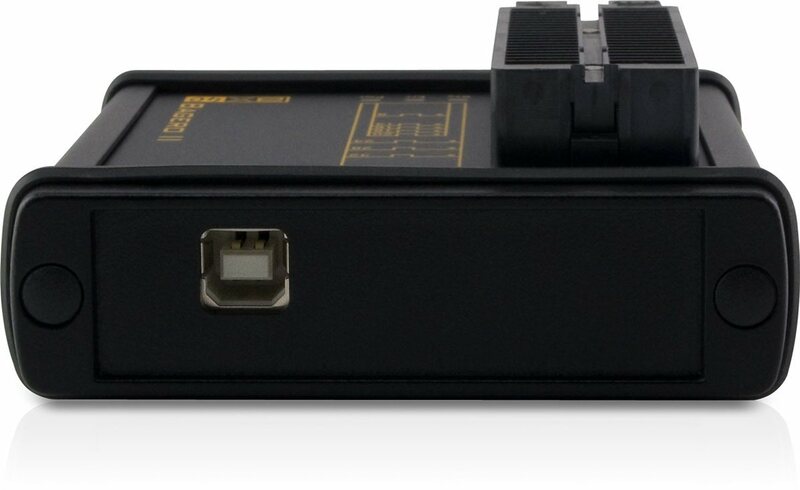 A power adapter or batteries are not required, since all programming voltages are provided internally by a voltage generator from the USB supply voltage. 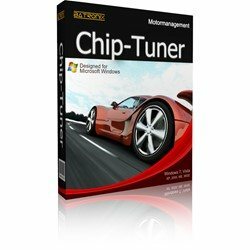 The chips are programmed at a high level of quality and reproducibility in the shortest time possible through the use of optimized algorithms and micro-controller managed programming times. All supported chips can be programmed directly in DIP/DIL packages and suitable adapters are available for specialized packages such as PLCC, SOP, TSOP and QFP. BX40 Bagero II - New version available now! 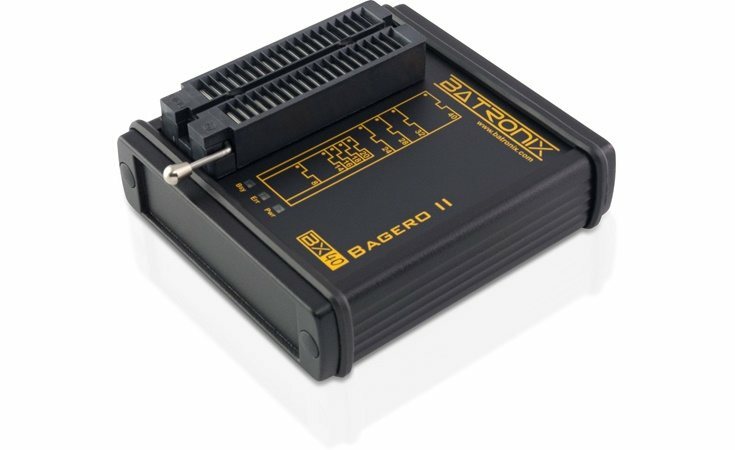 Doubled firmware memory size: The BX40 Bagero II has enough place for future improvements and enlarged chip support. Improve pin driving possibilities: The BX40 Bagero II can drive more pins with supplying and programming voltages as its predecessor. 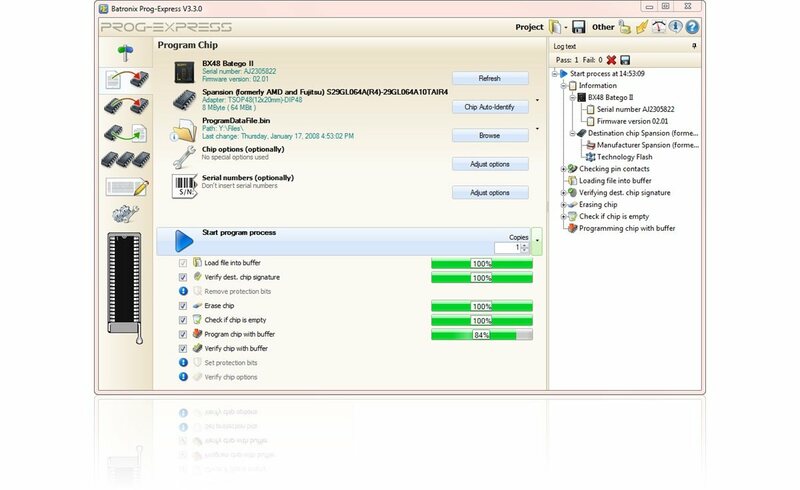 Improved chip supply: The supply and programming voltages of the chips can now be set more accurately. Batronix Prog-Express SoftwareThe operationg software, all updates and future versions are freeware and the current version can be downloaded from www.Batronix.com at any time and used without an activation key. 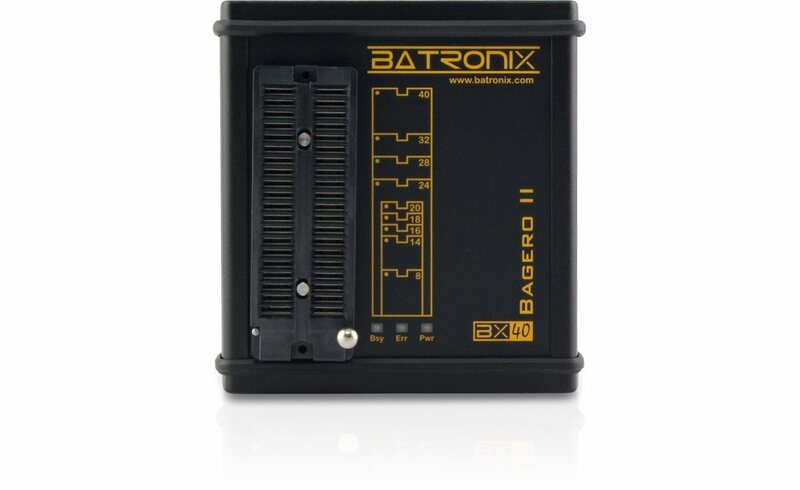 This allows the Batronix programmers to remain current even after several years. Support for further chips is added quickly and free of charge based on customer requests, as long as these chips are supported by the hardware. You can find the complete description at the Prog-Express page. We would like to show you how easy it is to use the Prog-Express software and the Batronix USB programming devices in a video presentation. 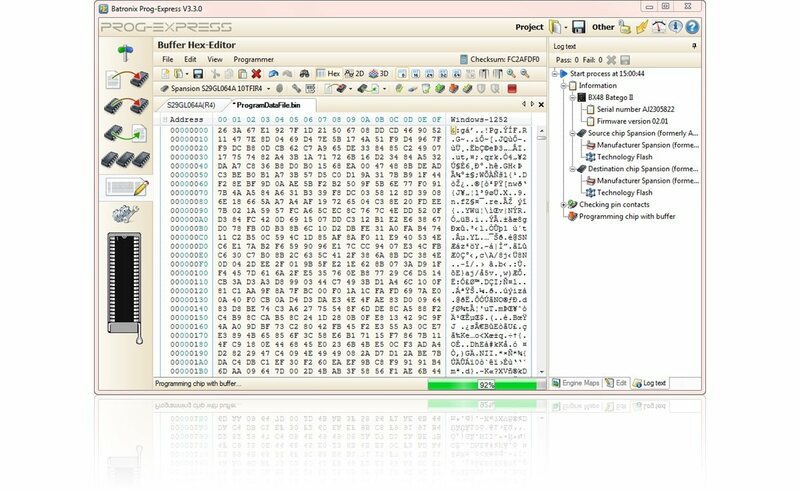 Within 5 minutes, you will learn how to program a chip with the data from a file, copy an existing chip, read a chip and program 20 chips in volume production mode. For volume production of chips, up to eight BX32, BX32P, BX40 or BX48 devices can be controlled simultaneously from one PC using the Prog-Express software. These programming devices are an alternative to gang-programming devices due to their low cost and extremely high programming speeds, and also offer greater flexibility. Read more information about cluster programming and gang programming. Quality "Made in Germany" with a 5 year warranty period! We believe in the quality and advantages our products offer and invite you to buy our products risk free for 30 days today! You can test the product for 30 days and if you aren't 100% satisfied, you can send the device back and we will refund the product price! 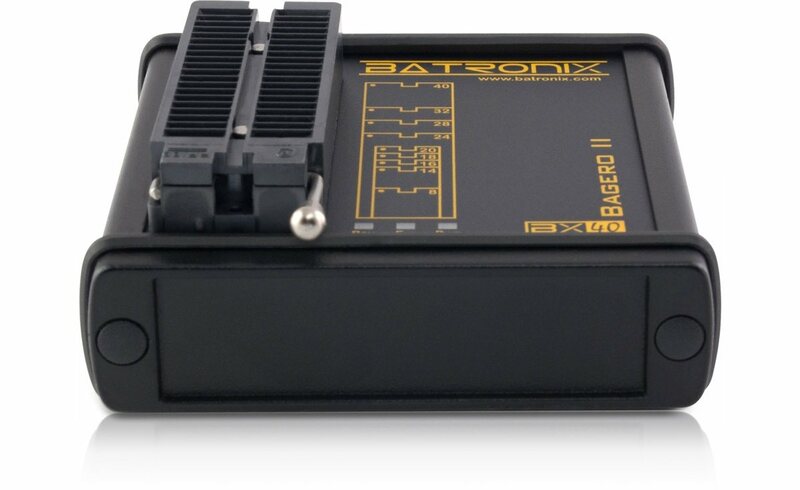 All Batronix BX programming devices are covered by a 5 year warranty. Serial number generator Very comfortable serial number generator with support for external serial number files. You will find further accessories like Adapter for special chip packages and ICs on separate pages. Adds 2D and 3D data views and automatic engine map detection to Prog-Express. Ideally suited for handling SMD-components during assembly of circuit boards as well as for programming adapters. 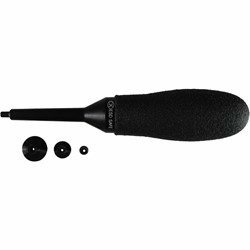 Thanks to the balloon-shaped handle, the vacuum is easily generated and allows a very precise handling of the components. The patented technique holding the vacuum constantly for longer periods prevents the components from dropping off.